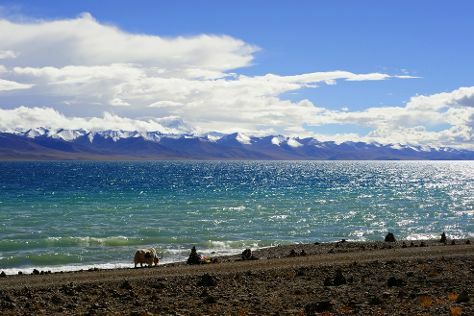 Kick off your visit on the 24th (Sat): contemplate the waterfront views at Lake Namtso. On the 25th (Sun), you'll have a packed day of sightseeing: take in the awesome beauty at Tanggula Mountains. To see maps, more things to do, traveler tips, and more tourist information, read Damxung County road trip planning tool . Los Angeles, USA to Damxung County is an approximately 26-hour flight. Traveling from Los Angeles to Damxung County, you'll lose 16 hours due to the time zone difference. Wrap up your sightseeing by early afternoon on the 25th (Sun) to allow enough time to travel to Lhasa. Lhasa is known for historic sites, museums, nature, nightlife, and shopping. Your plan includes some of its best attractions: take an in-depth tour of Potala Palace, steep yourself in history at Sera Monastery, shake up your sightseeing with a climbing tour, and get to know the fascinating history of Barkhor Street. For ratings, traveler tips, maps, and tourist information, you can read our Lhasa day trip tool . Use the Route module to find suitable travel options from Damxung County to Lhasa. Finish your sightseeing early on the 28th (Wed) to allow enough time to travel back home.